An intricate crop circle, pictured here, materialized last night in Poirino, Italy. This aerial view gives you a good sense of scale. See those cars in the upper left hand corner? Yeah. This thing's a biggie. 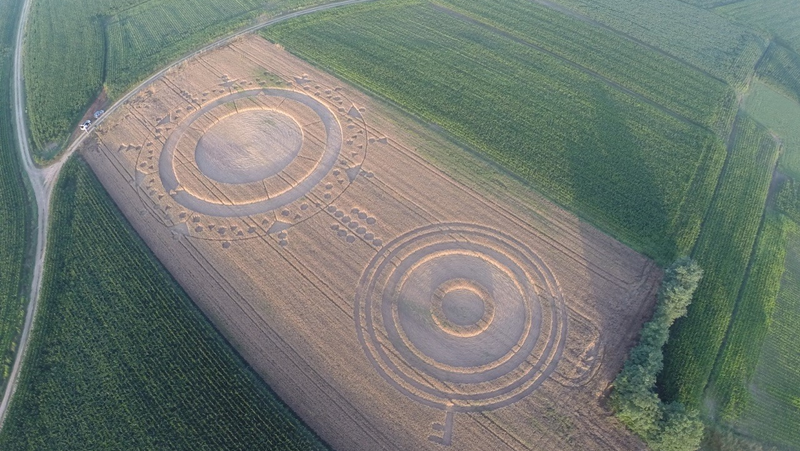 Created by crop circle artists Francesco Grassi and colleagues, the piece is called the "LENR (Low Energy Nuclear Reactions) Clock." Check out Grassi's Facebook page for more photos.